Accountants and business advisers HURST has recruited Claire Briars as marketing manager. 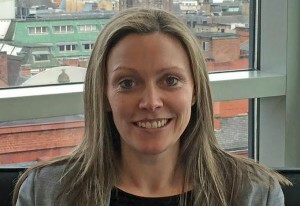 Briars, from Warrington, previously worked at BT in a variety of senior marketing roles, with stints as a manager in various divisions, including BT Retail. She has a post-graduate diploma from the Chartered Institute of Marketing and a degree in retail marketing. Her role at HURST will see her take responsibility for all marketing communications and events at the firm, which has more than 400 clients across the North West and offices in Manchester and Stockport. HURST partner Simon Brownbill said: “Claire has extensive blue-chip marketing experience and is a great addition to our team in the newly-created position of marketing manager. Briars said: “I’m delighted to be joining a firm with such a fantastic reputation. HURST has a superb client list and my new colleagues are recognised as being among the best at what they do.